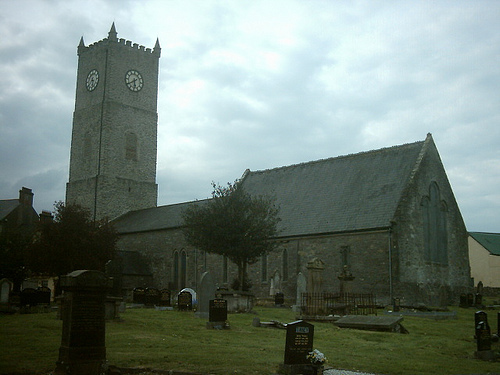 In the film adaptation of “The Field”, the parish priest proclaims Christianity to be a “thin veneer” over Irish people, in a derogatory reference both the people and pre-Christian Paganism alike. This idea of Christianity being a thin veneer runs contrary to the notion of medieval Ireland being an “island of saints and scholars” but is there any truth to this idea? Exactly how Christian was early Irish Christianity? 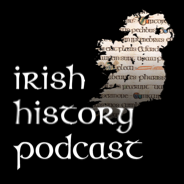 In Episode 7 of the podcast, I outlined the early stages of the conversion of Ireland to Christianity. In short by the early 7th century after several generations of proselytising by Christian missionaries Christianity was the most popular spiritual practice in Ireland. However this did not mean Paganism was completely eliminated and indeed the Christianity that emerged was not what as we might imagine it. The conversion of Gaelic culture to christainity partially failed as secular pagan rituals survived late into the medieval period. As we shall see the conversion of Ireland was as much about continuity as it was about change. Modern views tend to see the concept of the conversion in black and white terms where the convert drops one set of spiritual, religious and often customary practice and replaces them with another. 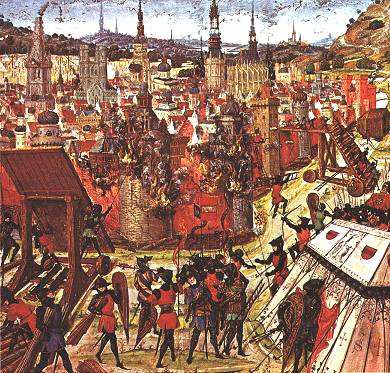 This is heavily shaped by our perception of historical events in the late medieval and early modern world in particular the crusades and the European wars of religion where on pain of death people rigidly stuck to one set of beliefs or the other. However the story of conversions in Ireland is one of Christian missionaries adapting their belief system to make as similar as possible to the existing Pagan beliefs. Early Christians seem to have been highly flexible and focused heavily on the similarity and continuity between early Christianity and Paganism rather than the differences between them. This lead to a slow gradual change from Paganism. There seems to have been very little confrontation or conflict around the issue not least by the fact there was not one Christian martyr from the conversion period, while the influence of Paganism on Christianity in Ireland is considerable. The willingness to adapt to the pagan culture around them is perhaps best seen in the figure of St Brigid. Whether there was actually a historical figure of St Brigid is completely unknown with no hard evidence for her existence. 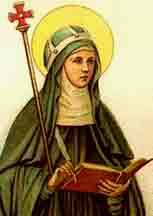 What is certain is early Christians co-opted a pagan goddess Brigid into what we know as the figure St Brigid today. It is possible they grafted the goddess’ characteristics onto a real life early Christian missionary but there is little historical proof of this. The transformation of the pagan Goddess into a Christian saint was complete when early Christians transformed the pagan celebration of the Goddess Brigid, Imbolc on February 1st , into what we know today as St Brigids day today. The pagan celebration was a celebration of the renewal of life in spring, while Christianity made it a celebration of the renewal of the Virgin Mary (Greene, M. 1995, 434). Indeed its easy to see how through the adoption of a figure like St Brigid, christianity would not have seen like a negation of Paganism given St Brigids explicit links to pagan spirituality. This blurring of the lines between Paganism and Christianity made conversion easier for the generations moving from Paganism to Christianity. When early Christians set about building shrines, burying their dead and constructing sites of worship they adopted a similar policy. This slow approach of linking Paganism and Christianity is also evident in the physical landscape. Early Christian missionaries adopted pagan ritual sites making them votive sites for Christian figures. Many sites such as St Patricks well or St Brigid’s well are just pagan wells renamed in a Christian light. Early Ecclesiastical centres were also constructed on or near pagan sites. 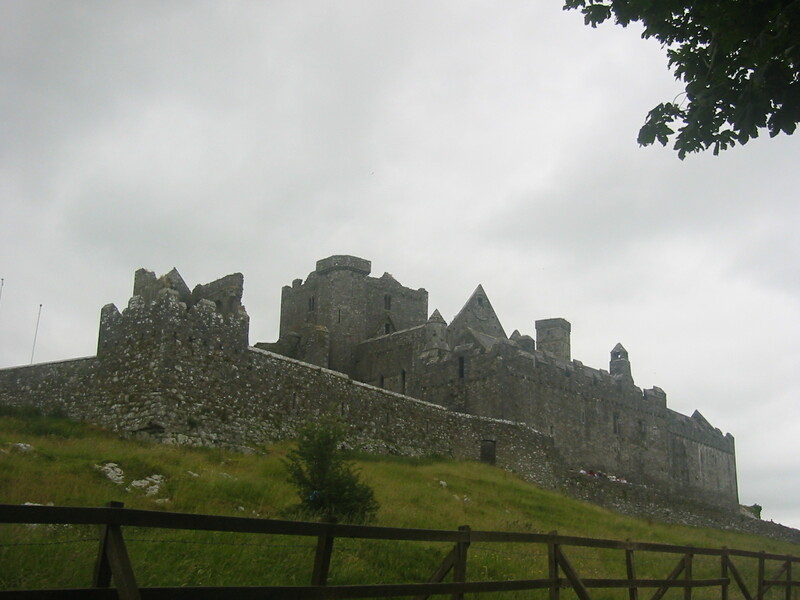 The ecclesiastical complex of the Rock of Cashel situated on a rocky outcrop was highly lightly to have been a pagan site. In Ulster early Christians for one reason or another were unable to establish a presence at the royal and ritual site of Navan Fort (Eamhain Mhacha) so less than a mile away they constructed a church which quickly became the ecclesiastical capital of Ireland. Through this process the spiritual landscape of Ireland remained more of less the same from the transition from Paganism to Christianity. The close association between Paganism and early Christianity is preserved in the archaeological record as well. 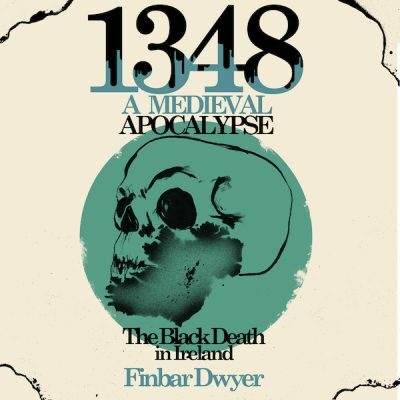 Although burials from the crucial period of the conversion 450 – 650 CE are rare (Edwards N, 1996 101) what has been found indicates that Christians were not buried apart but continued to be buried at pagan burial grounds. The archaeological record indicates toward a bridging period between Paganism and Christianity with religious practices particularly burials emerging that that are difficult to ascribe as definitively entirely pagan or Christian. This fluid period was evident at archaeological excavations at Kiltullagh on the Mayo-Roscommon border. Kiltullagh which became a medieval church site was originally a pagan burial site, gaining its name from the Gaelic Cill meaning church and tullack meaning burial mound. Killtullagh straddles the period and is a clear indication that early Christians compromised with Paganism allowing as much for continuity as breaking with the pagan past. At Killtullagh early Christians returned to pagan burial sites for burial. Two burials found beside standing stone carved with three cup marks illustrate this. One a cremation is presumably of a pagan (cremation was anathema to Christians until the reformation) while another inhumation of a male from the 5th century looks more likely to be early Christian aligned east-west with no grave goods. These are both situated close to a late iron age standing stone. The archaeologist, Finbar McCormick wrote in Archaeology Ireland that the burial maybe “the transition between the two eras. The inhumed male may have been a Christian who still wanted to be buried with his ancestors.” (McCormick, F. 1994, 28). Other potential transitional burial sites include Durrow, Omey island, Gelndalough and Derrynaflan. Continuity through the transition is also reflected in the material culture from the “Golden Age” of Irish Christianity (7-9th centuries. The most famous product of this era is probably The Book of Kells. The famous Chi Rho page is an example of the fusion between Christian and Pagan culture. The Chi Rho symbol is an early Christian representation of the word Christ (chi and rho are the first letter of Christ in Latin). This page symbolising Christ is heavily decorated with pagan symbolism again illustrating early Christian’s emphasis on continuity not change. 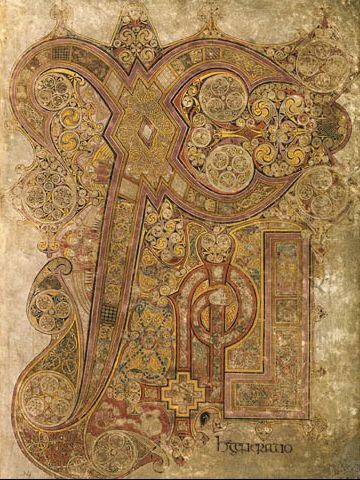 Similar motifs can be seen on the earlier work The Book of Durrow. This however does not mean the Cenel Conaill or the O Neill’s in general were pagans. Indeed far front, it was among the Cenel Conaill, six centuries earlier that Columba, founder of Iona and the monk who lead the conversion of the Picts was born. This indicative however of the type of Christianity that emerged one that was heavily influenced by and comfortable alongside pagan rituals which by the 12th century were probably seen as normal in Gaelic Ireland with little thought about their pagan origins. This preservation of pagan ritual was not limited to the O Neill’s either. These sacred groves of trees were sites where kings were inaugurated and they clearly still held huge symbolic meaning if they were targeted in war. As late as the 1111 the Annals of Ulster record. While overtly pagan rituals were preserved into the later medieval period, in the centuries immediately before the Norman Invasion of Ireland Christianity started to influence the concept of Kingship. Gaelic kings starting to model their ideas of kingship on the idea of power invested by a Christian god but this was destroyed by the Norman invasion when the church supported the conquest (Simms, 1998, 32). Pagan ideals of kingship were resurrected in order to support an elite who could no longer claim their power derived from god. 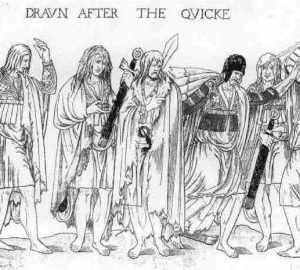 While pagan traditions survived until comparatively late in Ireland, the survival of pagan spiritual practices is scant even after the church supported the Norman conquest. Unreliably Geraldis Cambrensis claimed that the islands off the west coast were inhabited by pagans however he is not a trustworthy source unless corroborated. More trustworthy is the Bishop of Raphoe who wrote to the pope in 1256 that people in modern day Donegal were worshipping idols (Simms, K 2000, 28). While this troubled the theologically dogmatic Dominican bishop Maol Padraig O Scannail whether this would have been seen as Paganism by Christians a few centuries earlier is debateable. The survival of such overt pagan rituals into the later medieval period was unusual when compared with continental Europe. Although continental Christianity had suffered a temporary setback when the Western Roman Empire declined it soon spread back across Europe in the 6th century. These conversions seem to have been less comprising with Paganism, however its should be noted continental Europe and Britain had been Christianised by the Romans so missionaries could draw on older Christian traditions not present in Ireland. This lead to a far greater Christian penetration within continental culture. In 672 the Visigothic king in modern Spain, was crowned in a ceremony that involved a blessing by a bishop. Charlemange’s father Pepin was inaugurated as king in a Christian ceremony in 751, while Charlemagne’s own coronation as Holy Roman Emporer in 800 was carried out by none other than the pope himself. 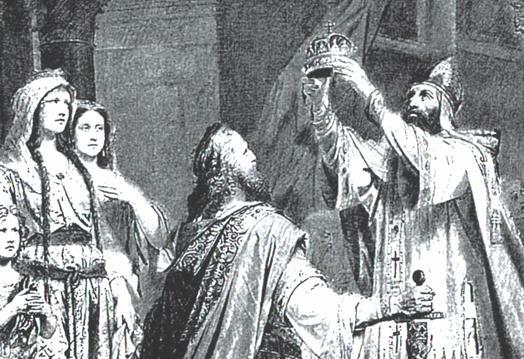 In Britain the Anglo – Saxon king to be inaugurated in an ecclesiastical ceremony was Ecgberth in 787, while Alfred the Great (871 – 899) was surrounded by clerics who performed courtly functions. 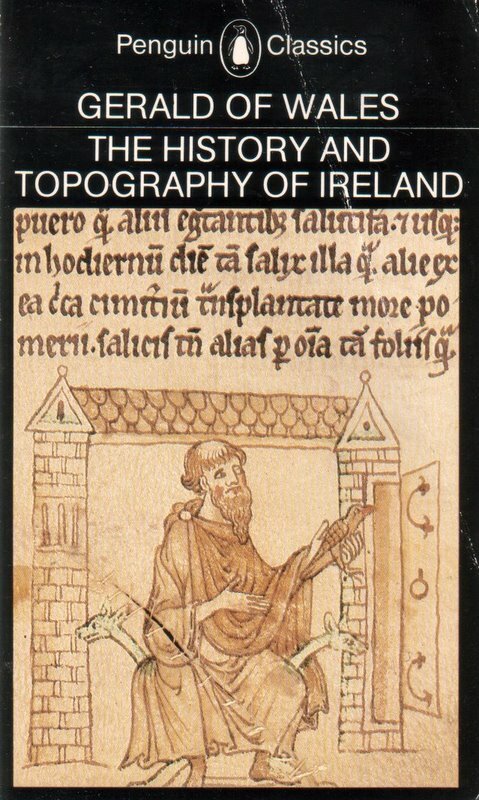 By the 10th century’s most of Western Europe’s inauguration practices were increasingly Christianised but Ireland difference should not be seen in the context of an island on the periphery of Europe. In the 11th century the influence of Christianity was limited on the periphery of the continent Norway and Sweden only converted in 11th century while the Baltic kingdom of Lithuania which remained pagan until brutal conversions in the crusades of the Teutonic Knights in the 14th century. Ireland shared the same geographical isolation from the centre of the Christian church on the Mediterranean allowing a vernacular version of Christianity to emerge. So was Christianity a veneer? After failing to penetrate and influence cultural practices, Christianity in Ireland accommodated itself alongside pagan rituals which to some degree must have been stripped of their meaning as pagan spirituality declined. As Katharine Simms (2000) points out in the later medieval period these practices while overtly pagan may have been used to legitimate kingship more because they were old rather than because they pagan. It is true to an extent to say the orthodoxy of the Christian church was a thin veneer but what lay beneath was not necessarily Paganism but a Christianity that was heavily influenced by pagan society it encountered in early medieval Ireland. To receive updates from the blog check out the facebook page or follow the blog on twitter. Excavation from Killtullagh accessed 28th March 2011. Love this area of history, Brigid’s story especially. What a lot of detail to digest! I find that the old gods end up being turned into faeries and ghosts; the people were/are still ‘superstitious’ about them, but no longer quite put them on the pedestal they once had. As for the historical records, of course they’re all overlaid with the attitude of the writer – a high medieval writer writing about an earlier period sees history through a conventional, all-encompassing christian filter. I was surprised to find a rather elementary mistake in this post. You remarked above, “The Chi Rho symbol is an early Christian representation of the word Christ (chi and rho are the first letter of Christ in Latin).” Chi and rho are the first letters of Christ, but not in Latin. They are the first letters of the Greek word Χριστος (Christos). Though not a huge mistake, it is a rather amusing and simple one nonetheless.